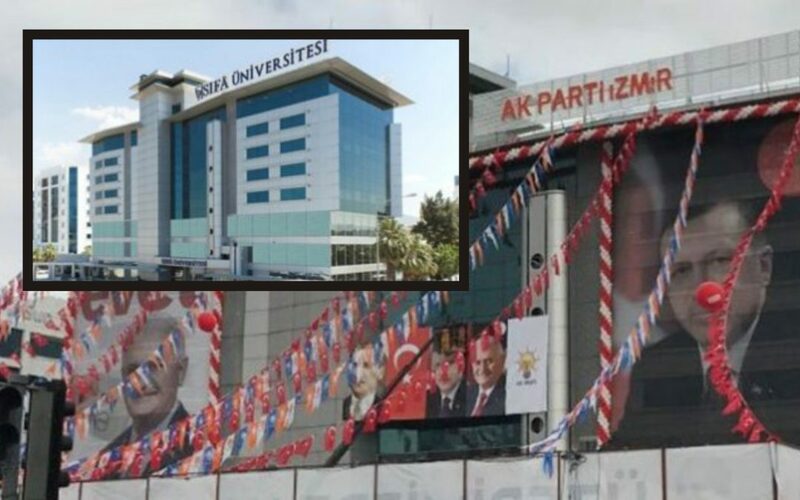 Şifa University, which was seized by the Justice and Development Party (AKP) government due to links to the Gülen movement, has been transformed into the AKP’s İzmir provincial headquarters. The government appointed trustees to Şifa University in May 2016 and closed it down along with many other institutions on July 23, 2016 following a failed coup attempt on July 15. According to the Sözcü daily, the inauguration ceremony of the new AKP headquarters in İzmir was attended by Prime Minister Binali Yıldırım over the weekend. As part of a witch-hunt targeting the Gülen movement, which is accused by the government of masterminding a failed coup attempt on July 15, 2,099 schools, dormitories and universities have been seized.